The quiet community of Carlton Lakes is on the northeast side of Naples just north of the intersection of Livingston Road and Immokalee Road. Carlton Lakes is conveniently located about a mile west of Interstate 75, but comfortably distant enough to be tranquil and uniquely secluded. By Naples standards, Carlton Lakes is a low density community, with a population per square mile eight times less than the larger Naples metropolitan area. It is a gated community on 245 acres with abundant lake views, as the name implies, and nine heated community pools, each equipped with private cabanas. The entire community is bordered on the east by an area that has been set aside in perpetuity as a nature reserve. Other amenities available to the residents of the eight subdivisions include lighted, Har-Tru Hydrocourt tennis courts, ideally designed for the Southwest Florida region. Carlton Lakes offers something for every lifestyle, including Carriage, Garden, and single-family homes as well as villas. The Amenity Center features a fitness center, a tot lot, a 60-foot lap pool, and a bocce court. The Cypress Point subdivision has been called “the best option you have for living in Carlton Lakes.” The two and three bedroom homes range in square footage from 1,400 to 1,700. Floors are ceramic tile or wood, fitting the Florida lifestyle. Edgewater consists of 1,600 and 1,700 square foot, two bedroom/two bath homes in one to three floors of low-rise buildings. Edgewater homes feature ceramic tile and carpeted floors. Keeping with the low-rise theme to enhance the ambience of the neighborhood, Lakeview homes range from 1,200 to 1,500 square feet with both two and three bedroom floor plans. Some feature screened lanais. The Ibis Pointe neighborhood features luxurious two and three bedroom, 1,500 square foot homes along well-manicured, tree-lined walking paths. Jasmine Pointe home floor plans start at 1,500 square feet and are available up to 1,800 square feet. Home in Jasmine Point feature either two or three bedrooms. Ranging in size from 1,300 to 2,200 square feet, the homes in Lexington feature floor plans that include two bedroom/two bath plus den, three bedroom/two bath, and three bedroom/two bath plus den. Exterior amenities include paving stone drive and walkways. Like each of the other eight subdivisions, Lexington has its own heated, neighborhood pool. 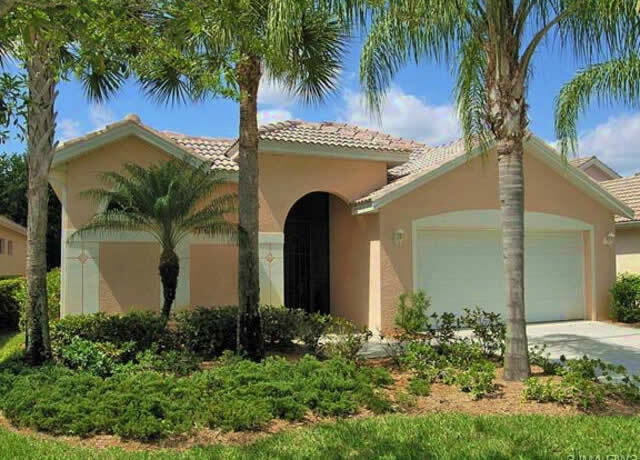 The homes in Osprey Isle continue the popular Southwest Florida/Mediterranean theme with stucco walls and tile roofs. Osprey Isle homes are among the larger within the Carlton Lakes community, with two and three bedroom floor plans ranging from 1,700 to 1,900 square feet. Spoonbill Cove condo homes feature ceramic tile flooring and are exceptional spacious with 1,800 to 2,500 square feet of living space under cathedral ceilings and with up to four bedrooms available. Carlton Lakes is not surrounded by large commercial complexes, yet its location means that everything seems to be close by and only minutes away. A two to three minute drive south on Livingston Road puts families at the entrances to Golisan Children’s Museum of Naples, the North Collier Regional Park and Soccer Fields, and Sun-N-Fun Lagoon. Take a right turn onto Immokalee Road and continue straight to the entrance of the beautiful Delnor-Wiggins Pass State Park, a nature lover’s and beach goer’s delight. The park even has a boat launch with access to the Vanderbilt Channel and the Gulf of Mexico. Shopping, dining and the North Naples Hospital are less than five to ten minutes from the comfort of Carlton Lakes.